← iOS Weekend Sale Alert! Ninjatown, Shift 2 Unleashed, Unlikely Suspects and Space Miner HD! Levels vary in terms of objectives – sometimes it’s to produce a certain number of units of a particular product, sometimes it’s to earn a certain amount of money or sometimes it’s to buy a certain number of animals. The basic incentive is to meet the required goals for each level without time pressure – but, the faster you beat the level, the more gold stars you earn. Gold stars are needed to purchase equipment and upgrades to be able to access other levels on the game’s “street” map. 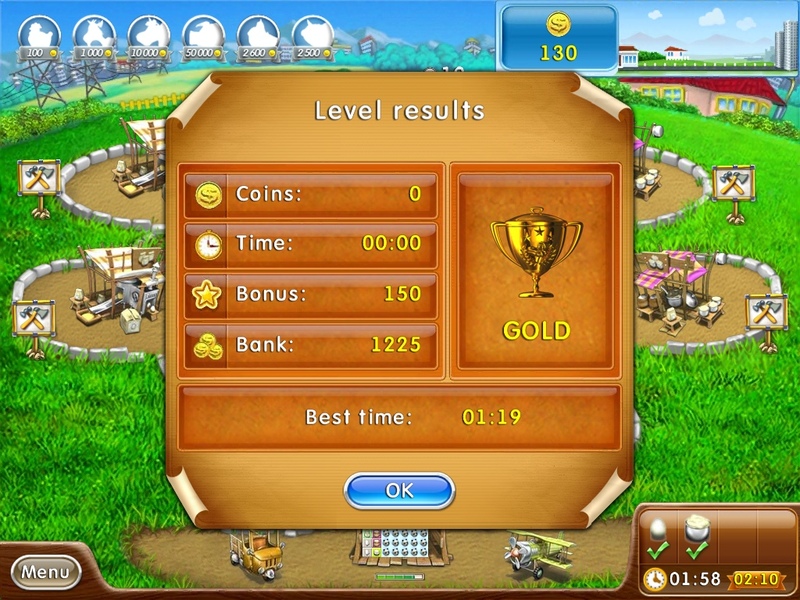 However, due to the game’s unique and complex upgrade system, it’s best to aim for gold each and every time to have enough gold stars to buy equipment and upgrades. Otherwise, you need to repeat the level until you earn enough stars to afford these equipment and upgrades. Now that you have a fair idea of what Farm Frenzy is all about, let’s turn to this particular installment in the FF series. As the name implies, the whole purpose of farm production is to make different kinds of pizzas for your pizzerias. However, before getting into the pizzas, you need to go through the basic “building blocks” first – the usual in FF, such as making eggs, bacon, flour, flying in ingredients such as butter and the like. If you’re a bit impatient to get to the pizzas part, you might have to wait a bit because the game takes you through the whole production process first. Once you’re making pizzas, you’ll find that there are a variety of challenges along the way. Time management games are well-loved for their familiarity and they are one of the rare types of games where routine is the reward. 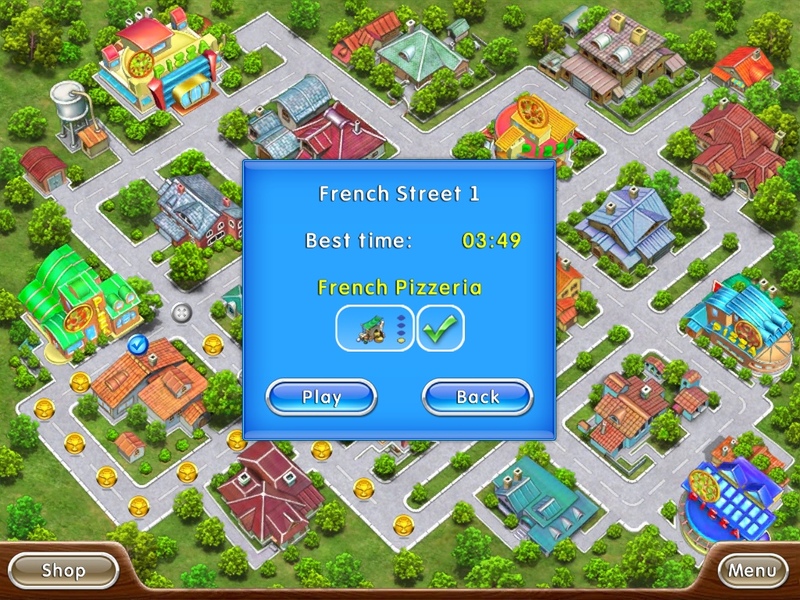 The Diner Dash type of TM game for example, puts emphasis on chaining successive actions or colors to score combos and bonuses to earn enough money to beat the game. FF differs from your usual TM game because it does not have such chaining mechanics. Rather, it requires a different type of strategy, with a bit of variety in its objectives, and forces you to be efficient in meeting your short term and long term goals. The game’s graphics and animation just keep getting better, so the little details and extra polish have not gone unnoticed to this reviewer. The user interface, while still faithful to the FF formula, is more at home on the iPad and is more touch friendly. What I love about the Farm Frenzy series is that the game’s unique approach to the time management formula makes it incredibly challenging. Any TM addict will tell you that the reward is always getting the best possible scores, which is possible when you’ve found and perfected the ultimate efficient approach to doing things. Farm Frenzy 2 – Pizza Party HD without a doubt, lives up to the standards set by its predecessors and is the most fun installment in the series yet! Farm Frenzy 2 – Pizza Party HD is a must buy for fellow casual gamers! My daughter absolutely loves the Farm frenzy games. 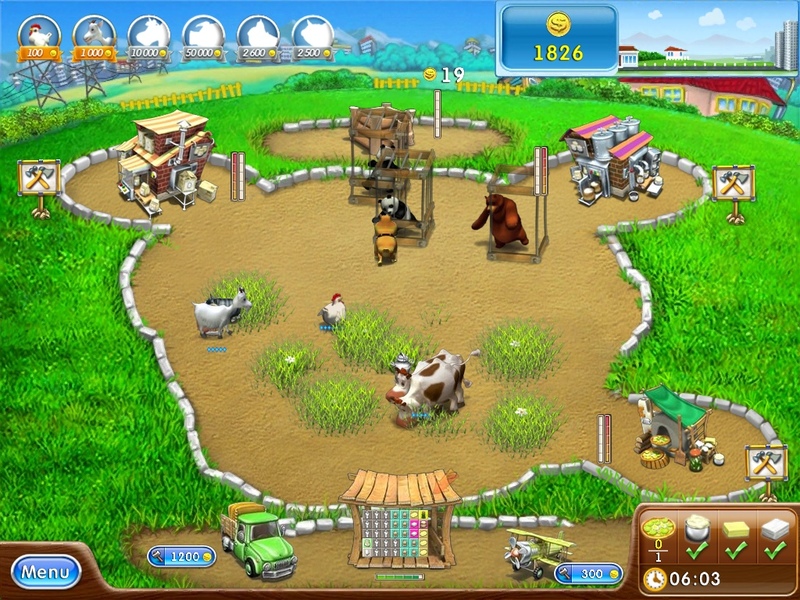 I myself did enjoyed playing Farm Frenzy game due it’s challenging levels. However, I have to use cheats just to complete all of the challenges. I have not tried the cheats and it takes me several tries to get the best score on each level. I don’t know if I’ve found the most efficient solution yet even after completing best time.